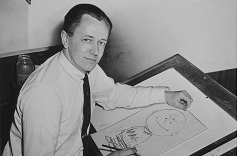 A 1956 photograph of Charles M. Schulz drawing Charlie Brown. current 20:33, 9 February 2017 237 × 156 (42 KB) Torchickens (talk | contribs) A 1956 photograph of Charles M. Schulz drawing Charlie Brown. This page was last edited on 9 February 2017, at 20:54.